Attention: All those who want to attract VALUABLE customers by using social media tools for business! There is no denying the benefits of extensive social media reach; consider even, the value of just one single social network, then multiply that using Facebook and Google+ (not to mentioned LinkedIn and Twitter). With that being said, what strategies can you use to attract the RIGHT customers to your business using social media. Reach, both quality and quantity can be the single most important driver in building a strong inbound marketing campaign. But how do you attract the right followers for your company using Facebook and Google+? Typically, there are applications or programs that determine these steps – at Farotech we use a Keyword App and Social Media Prospects App. Getting your keywords right from the onset will make it easier to reach the most efficient/effective prospects! After creating valuable content, navigating thru the multitude of social networks can be terrifying – dedicate someone on your team to handle this process. At Farotech, we use social network platforms for blog syndication approx 5-7 times per week. For the purpose of the article, I am going to make suggestions on using social media tools for business in reference to two specific social networks: Google+ and Facebook. By choosing two networks, I will make your time here most efficient in reaching prospects for your business. Connect with Existing Contacts. At the time of joining, Google+ automatically scans your existing connections using mail server, Facebook, email addresses or any existing contacts. Google+ allows you to invite them into a “google+ circle”. This doesn’t increase your reach, only continues to connect with your existing contacts. Introduce yourself to new people, so submit keywords for a more detailed search. Influence: Narrow down the top influences by location – using socialstatistics.com which allows use of local businesses. For example, if you are located in Atlanta, your search term may be “top Google+ users in Atlanta”. Targeting connections using a Google+ search, you can narrow your search terms using “quotations” for a more specific targeted business. If your business niche is dental practices, include that niche in a Google+ search. Target Keywords: When surfing Google+, you can also search people who are discussing specific keywords. Add them to your circles, but best most selective when doing so. Name circle based on the program or niche that you may be targeting. This feature is more important when growth to a new niche is crucial to hit revenue targets. Making new connections on Facebook can be a little trickier because it doesn’t have the same business culture as Google+ or LinkedIn. 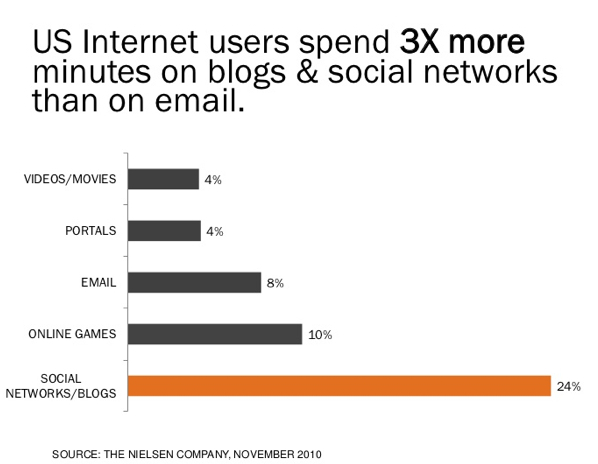 In other words, don’t spend too much time on Facebook, which is truly a socializing platform. There are some tactics that make your business relevant using a Facebook business page. Leverage existing Facebook “Fans” whether you’ve started with 3 or 300 – it’s worth engaging your existing fans in the effort to grow your page’s search. Provide your friends, on Facebook, something that is worth sharing! Use referrals and “likes” to be more effective and target others outside of your network. Make comments on your posts, mostly in response to others inquiries. Doing this will effectively distribute brand knowledge and value. Facebook Ads: If you are promoting a page, target very specific viewers and ask them to “like” the ad right on the page. Chances are, if you are advertising on Facebook, viewers will either ignore or scan over the advertisement. My opinion: based on the size of the business, allocate your advertising funds somewhere else. Facebook users are smart, they don’t click on ads unless they have a personal connection. If you see value in social networking for your business, consider starting slow. There are many social media platforms out there – start with 3 or 4 and work your way into a calculated strategy. My recommendation, do not spend more than 1 hour a week on these methods. The ROI may not show immediately, so be very careful in how you use your time. Finally, use analytics to keep track of how your efforts are paying off. Determine your reach, traffic and leads to adjust your activity. If LinkedIn and Google+ are generating leads, make sure you put more time and effort in creating valuable, informational and educational content! Check back later for another blog continuing this topic of social media tools for business – next time, we’ll talk about Twitter and LinkedIn! Be persistent, knowledgeable, credible and unique! For more information on online marketing strategies download our free Ebook A Comprehensive Guide to Internet Marketing!